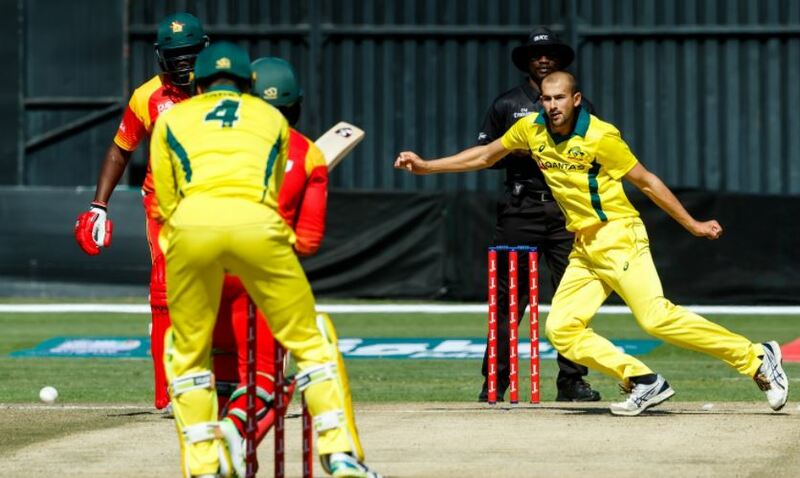 Australia vs Zimbabwe: This is the sixth game of this Tri-series between Australia and Zimbabwe. The hosts waiting for at least one win, while Australia looking for their third win to make equal against Pakistan who won yesterday game by 45 runs. This sixth match set to begin at 10:00 AM local time on 6 July 2018 (today) at The Harare Sports Club, Harare. After the fifth match, Pakistan jumped into the first position in the standing table with 12 points in three matches. If Australia wins today’s game against Zimbabwe, then they will be up again to the top as they have more net run rate than Pakistan also. Watch Australia vs Zimbabwe live streaming in Pakistan on PTV Sports TV channel and also on online. Sony Six and Sony Six HD channels broadcasting this Tri-series match live in India. People can also watch this match on SonyLIV app and its official website. If Australia or Zimbabwe cricket fans in the UK, then watch this match on Sky Sports which providing Pakistan v Zimbabwe v Australia Tri-series T20I match. The Australia Cricket fans in Australia can watch Fox Sports.